Is Your Church’s Policy Hurricane-Ready? Hurricane season can be a highly stressful time for Floridians as they wait and watch the unpredictable swirls of pressure systems that seem to appear every week during the thick of the season. Ours are highly active waters, giving rise to storms whose paths of destruction are merciless and leave countless people to deal with their aftermath. As Floridians prepare for the threat of a hurricane, they often forget to consider whether or not their insurance will cover damages in the event that a hurricane does hit. While it’s easy to assume that having a property policy in place covers any type of damage that might occur, there are certain limitations and exceptions that could mean you don’t have coverage for everything. Just as homeowners’ insurance is crucial for individuals who own their home, property insurance is necessary for churches. 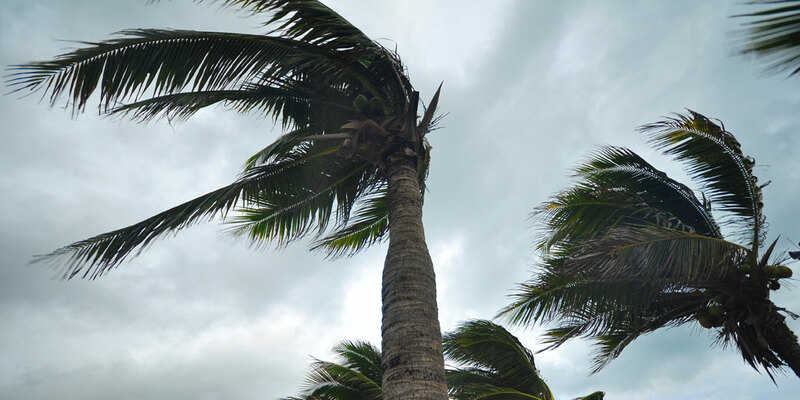 It’s important to know, however, that not every property insurance policy will cover damages from wind or flood – two of the main types of damage caused by hurricanes. We at Beacon have nearly twenty years of experience in providing specialized insurance for churches and ministries including property insurance policies. Throughout the course of those years, we have formed strong partnerships with GuideOne Insurance and Church Mutual. As two of the most highly regarded insurance providers in the nation, these partners strengthen our ability to serve the many needs of our clients and provide them with invaluable tools to increase their safety. Protection and guidance are our number one objective, and so we urge churches to fully educate themselves on the types of insurance policies they have in place as well as ways to ensure that they have prepared for every eventuality. Many standard property insurance plans cover various types of damage to buildings, property and equipment directly tied to that property. They also cover the cost of injuries to parties who may get hurt while on the property. However, those policies often cover everything BUT wind and flooding. In the event of a hurricane, a church may have to deal with the cost of their greatest damages on their own. At Beacon, we offer plans for flood and wind damage. In a highly active hurricane zone like Florida, such insurance is not only advisable – it’s critical. Our agents will work with you to determine the best options for your church so that your property is properly covered for the season ahead. We know that policies can become confusing, but we will fully discuss your needs and your budget to find policies that will truly prove their worth. Our greatest mission at Beacon has always been to illuminate our clients’ path to peace of mind, and we strive to empower them with the tools they need to serve the world that needs their light. Make sure that hurricane season doesn’t damage your mission! Call the experienced agents at Beacon Insurance Agency to learn more about the types of insurance for we offer churches today!